The University of Guelph-Humber offers students theoretical knowledge and practical experience to earn two credentials in four years of full-time study. In the first year of working with the University of Guelph-Humber, a research phase consisting of stakeholder interviews, directed discussion forums, target audience questionnaires and a competitive survey was conducted to analyze the perceptions, challenges and opportunities of the University’s brand and recruitment positioning. 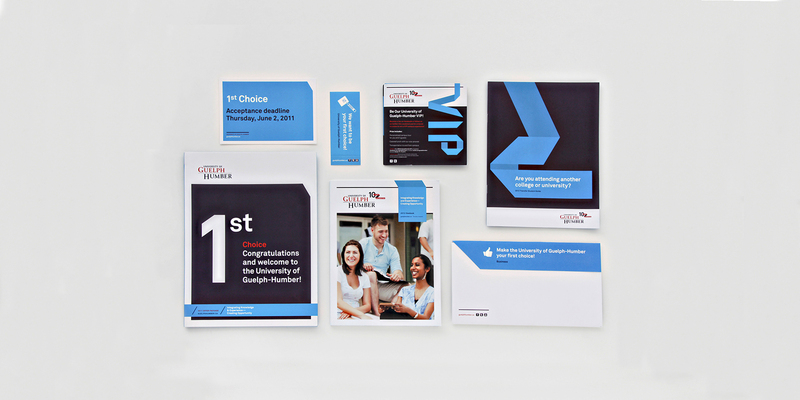 These insights were applied to create a refreshed approach to the brand message through a comprehensive design strategy including easy to access statistics, information graphics, a secondary colour palette, interactive format and design solutions for two consecutive years.